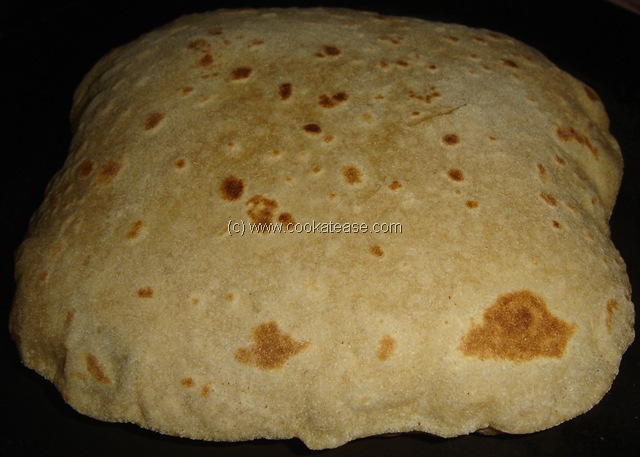 We can call Chappati as Indian bread. In northern India, this flat bread is made twice a day. 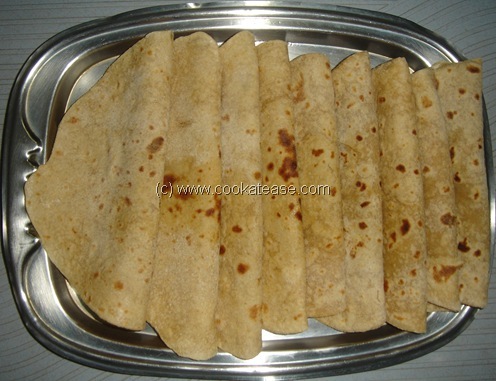 Chappati is fresh and soft when served hot immediately from kitchen. 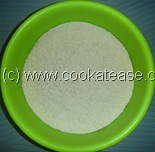 As it is prepared from whole wheat flour, it is rich in fibre. 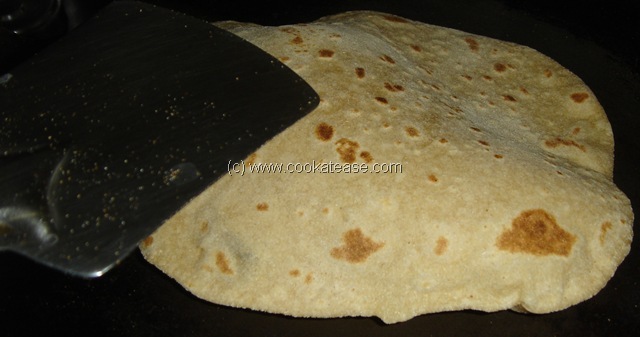 Chappati’s thickness and diameter varies from region to region and kitchen to kitchen. 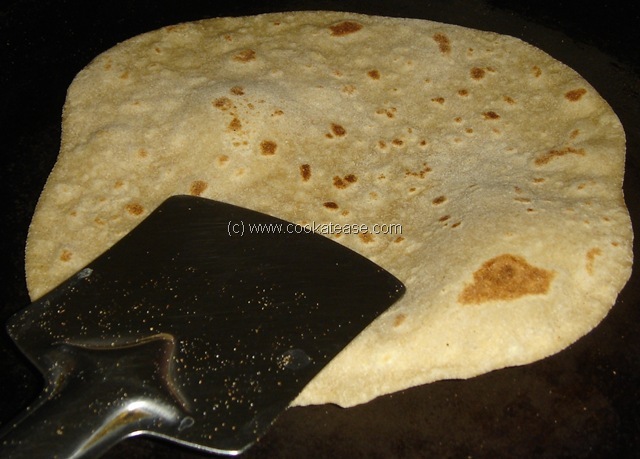 Chappati is a great combination with dal and vegetable curry. 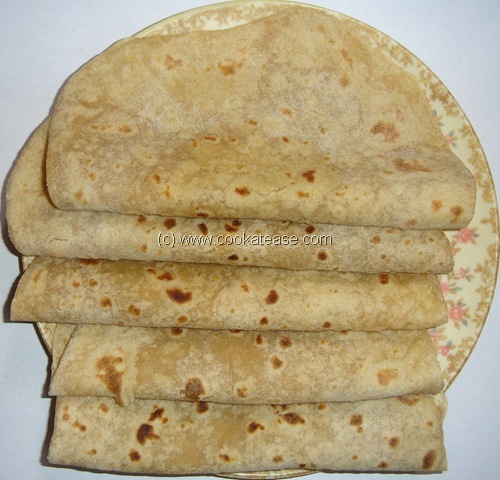 It has different names as Chapati, Chapathi, Roti, Phulka etc with mild variations. 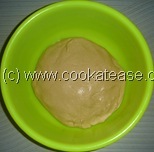 Mix flour, salt and make soft dough by adding water little by little as required. 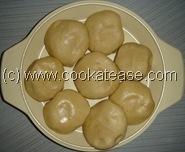 Apply one teaspoon of oil on the surface of the dough and keep it covered for 30 minutes. Now shape the dough into balls. You can make 8 to 10 pieces as shown in photograph. Roll one ball in to a thin circle of approximately 6 to 8 inch width. You can do this easily by dusting with some dry flour while rolling. 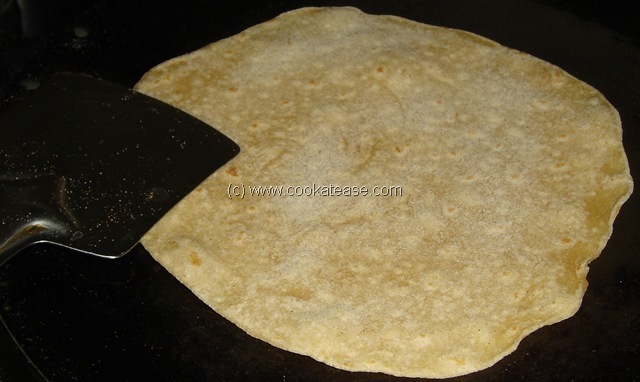 Heat a griddle (non-stick type optional); put the rolled chappati; cook for one minute approximately; you can observe small bubbles on the top. Now change over side and cook till you get small red spots. (you can slightly lift and see); this takes approximately 30 sec. 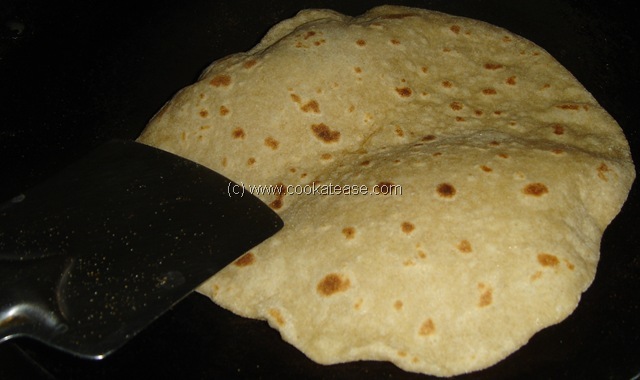 Now flip the chapatti so that the first cooked side will be again in bottom side; now either you can press slightly the sides with a clean cotton cloth or with a spatula. 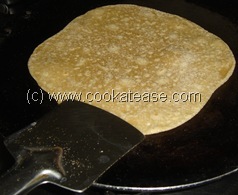 The chapatti will puff up fully; remove and apply little ghee. 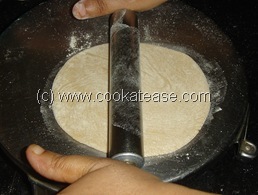 Repeat this for remaining dough also. Store in a hot pack. Serve hot with Dal, Vegetable curry. 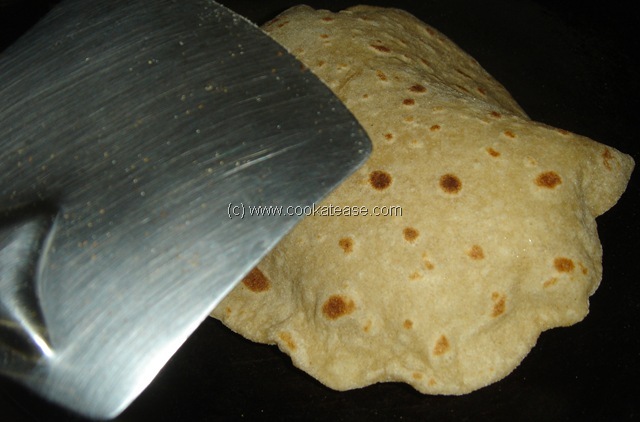 If you use cotton cloth to press the sides of chappati, be alert to avoid hot steamed air burning your fingers. 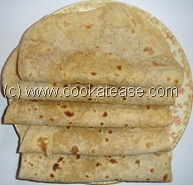 Don’t roll all dough at same time; roll one by one and cook it immediately to get soft chappati. Thanks for your comments. Keep visiting.